The Caravan has a Shower Room with toilet & a separate Toilet, TV/DVD with some dvds, playstation 3 with some games (but some adult supervision may be needed), there is also a Microwave, Integrated Fridge/icebox Gas Central Heating, All Double Glazed, Iron/Ironing Board, and your very own parking space near the Caravan. There is a travel cot (but you will need bedding) . there is also some books and games for the kids. 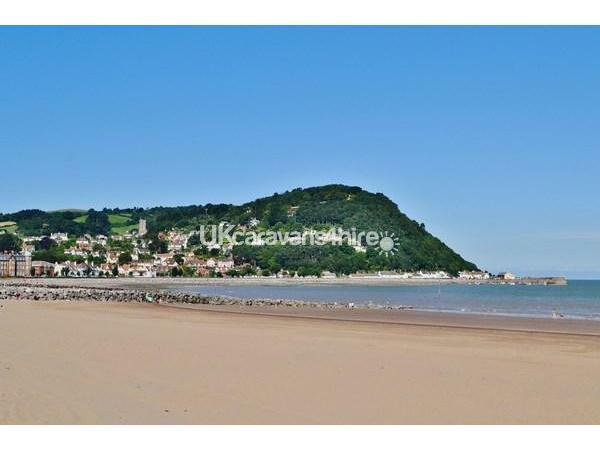 But don't forget the sandy beach just across the road. Butlins Minehead entertainment passes are included in the price as is gas and electric. You will have instant access to all of Butlins on site facilities within a few minutes walk including a splash pool with fantastic water rides, a funfair, cabaret, children’s entertainment and much more. Duvets and pillows are provided, but linen is not. 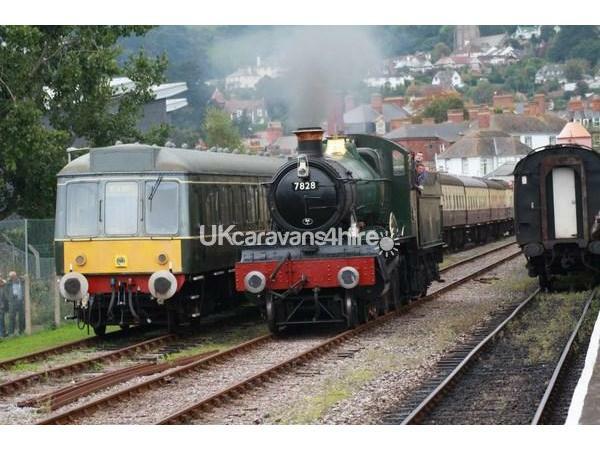 West Sommerset Steam Railway:- 22 miles of heritage Railway, a true country branch line of the old Great Western Railway running from Minehead to Bishops Lydeard through the sommerset country side stopping at Dunster, Blue Anchor, Washford, Watchet, Doniford Halt, Williton, Stogumber and Crowcombe Heathfield a brilliant day out for both adults and children. Middle aged couple with elderly mother/in-law. The best van we've stayed in, over the 20+ years we've been coming. Lovely to have the beds made up, and a double bed that doesn't dip in the middle! Coat hooks (which I always miss in other vans), good sized drinking mugs, complimentary biscuits/tea/coffee/sugar/milk/loo rolls... Exceptional service!! So impressed. We definitely intend to book here again. Can't thank you enough. Wonderful holiday. We recently stayed in this caravan and it was lovely, clean and having the beds made up before our arrival was brilliant. Also a lovely surprise to have tea ,coffee,milk and lots of other essentials already there and the sweets that were left for the kids was great. The location was good and only a short walk to everything. Would definitely stay here again and recommend to others aswell. Just had a lovely stay in the caravan. The facilities and location were great. We were provided with much more than we expected! Such as soap for the bathrooms and kitchen, cleaning things, dish washing things and a travel cot (put in the room that we requested with other beds made up as required!). We had a lovely surprise when we arrived in the form of biscuits, tea, coffee, sugar and milk provided so we could chill before we had to go and buy anything! It was lovely being in the caravan section of butlins as it was much quieter in the evening for our little ones being in bed as we didn’t have people walking past at all hours. 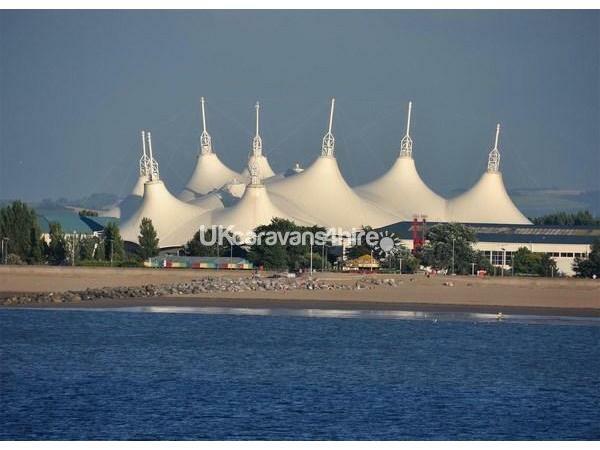 It is also one of the closest caravans to ge entertainment and a straight forward walk to get there! Would definitely stay here again if we were to plan a butlins holiday. Thank you for a lovely stay! Owner was very helpful due booking stages. Caravan was clean and welcoming with tea n coffee etc being left and biscuits. It was really good that the beds had been made up ready for our arrival. Would definitely stay in the caravan again if go to Butlins again. Thank you for a great weekend. 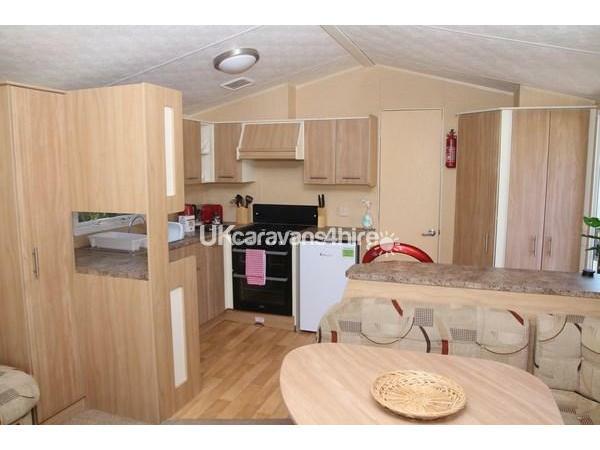 Fantastic caravan very close to everything, very well equipped and really comfy beds. The owners were very helpful and also supplied tea, coffee etc and also biscuits and sweets what was a nice surprise. Me and both my children loved are holiday and will be booking again!! Lovely clean caravan. Already had milk, tea bags, biscuits etc inside!! Lovely touch. Very spacious and perfect for our family holiday. Also close to everything! Would definitely come again. Thank you! This was just perfect, Clean, all in perfect working order, great space inside for the family to be together. Also the personal touch and service from the owner was second to none. Would definitely recommend and have booked for next year. 11 our of 10. Thanks for a perfect holiday. What a fabulous caravan. Had a fantastic time. Couldn’t have wished for a better welcome than when we arrived and found milk, tea, coffee, biscuits, sweets (for the kiddies), for that much needed cup of tea after a long journey. It was such a lovely surprise to find the beds were all ready made up. We could just get straight on with enjoying our holiday immediately. Without having to fuss getting the essentials done. It was lovely having tea towels, toilet roll, kitchen roll, and cleaning products all ready provided. It was such an ease. Would highly recommend this caravan. The best on site we’ve ever stayed in. (And we’ve stayed in many over the last 10 years). Already booked to return next year. Can’t wait. Thanks for a smooth and easy process. Looking forward to our return. 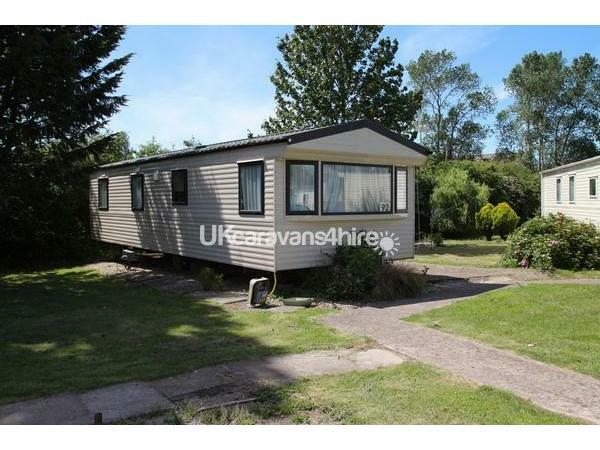 My family and I had a fab break away staying in this caravan.it is situated in a nice quiet cove and surrounded by grass areas where children could play. Caravan was lovely and clean and had everything we needed,plus there were lovely little touches like tea,coffee,biscuits and pint of milk on our arrival!! Didn’t take long for kids to spot the sweets that had been left for them either! Thank you ???? Would def recommend staying here and I’m sure we will be back again! ???? A lovely well equipped caravan. Michelle contacted me the day before and offered to put the two single beds together to make a double so that we didn't have to sort it out. There was even a fresh pint of milk ready in the fridge so that we could have a cuppa as soon as we arrived. Fabulous service from start to finish. Thank you Michelle. Used this van twice now and will deffo use again allways 100% spot on and even the little touches go along way thanks again Michelle and paul for a excellent weekend ???????????????????????????????????????????????? The caravan is lovely and clean. It was so nice to have the beds made up there was also tea coffee and milk biscuits sweets for the kids toilet roll everything you needed to get settled. Great location the kids loved the outdoor area outside. I would definitely recommend to anyone . A lovely and clean caravan. Nice gesture with the tea, coffee and biscuits on arrival. Away from what can be a noisy Butlins so a perfect spot for the evenings. This was a weekend away for a 13 year old autistic boy so a quiet peaceful area in the evening helped him wind down from the excitement of the day. Only a five minute walk to the main pavilion if you cut through the chalets so easy to get to everything around. Right by the shop on site very convenient so you don't have to walk to the pavilion if anything you need. Beds were surprisingly comfortable. Stayed in some caravans which were not great. 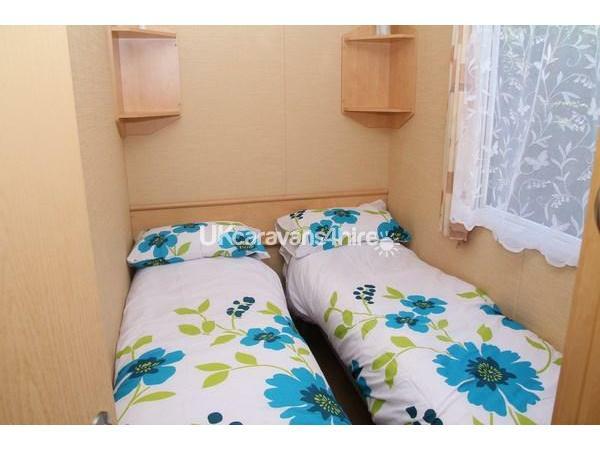 These beds were probably the best I have slept on in caravans. Will definitely be booking next year. Thanks to Michele for all the help and advise given to make our stay enjoyable. Lovely, clean, spacious, well equipped caravan had everything we needed and more. In a good spot tucked out the way of any on lookers. We thoroughly enjoyed our stay and we’re definitely hoping to return in the near future. Huge thank you again ???? 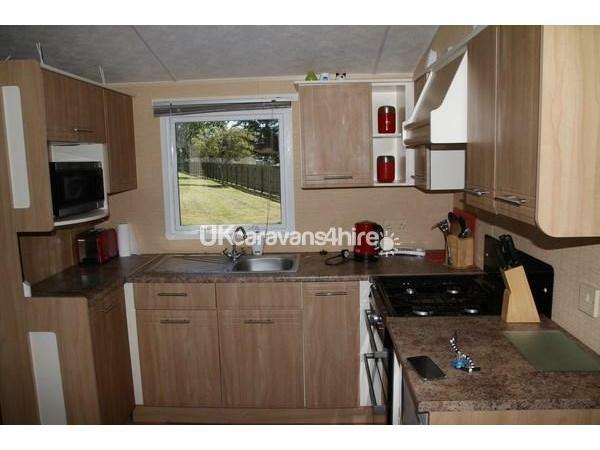 This caravan was very well maintained and clean throughout, both my self and my mate and our 2 little boys loved our stay here. Both didn't want to home to their mummies. The caravan is a short walk into the site and plenty of room around the caravan for the lads to have a kickabout. Would recommend staying here to family as Michelle went above and beyond to make sure every little detail was correct and leaving some essentials which 2 blokes away from their wives would never of thought about, especially after a 6hr drive but it was worth it. Couldn’t be happier with the service from Michele & Paul. Very grateful to them for letting us use their caravan for the weekend. I couldn’t get over how spotless the caravan was, we had a lovely welcome where they left some biscuits, tea, coffee, sugar and milk for us. Highly recommend!! I will definitely be contacting to book again!! Thanks Both! Thoroughly enjoyed our stay at Michele & Paul’s caravan. Wonderful welcome with tea, coffee, biscuits and milk. Couldn’t get over how clean and fresh everything was, it definitely made us feel at home. Never felt so welcome! Highly recommend and I will definitely be looking to book again!! Thanks again both for letting us use your caravan. Lisa Williams. 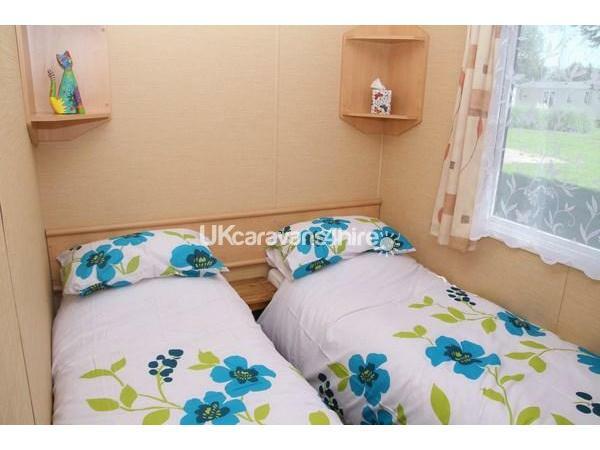 The first thing we noticed as we opened the caravan was how clean it looked & smelt. The caravan was fantastically equipped with all kitchen utensils, toys, dvds & books, plus all cleaning equipment. The added touch of milk, tea, coffee, sugar, washing up liquid, biscuits & sweets for the children was such a lovely touch. There was plenty of room for us all (2 adults & 4 children). It was great to have the luxury of 2 toilets too! 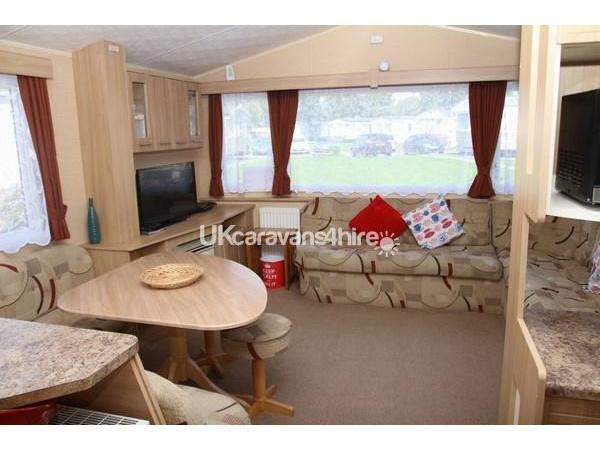 We would highly recommend & hope to return in the near future to this very caravan. Thank you guys for making our holiday one to remember for all the right reasons! Had a lovely break in Michele and Pauls caravan. Had everything we needed. She left us sweets and tea, sugar, milk which was a lovely gesture. Caravan is in a nice location and easy to find. Nice and clean too. Will definitely be booking again. Thank you both. Sam and family. 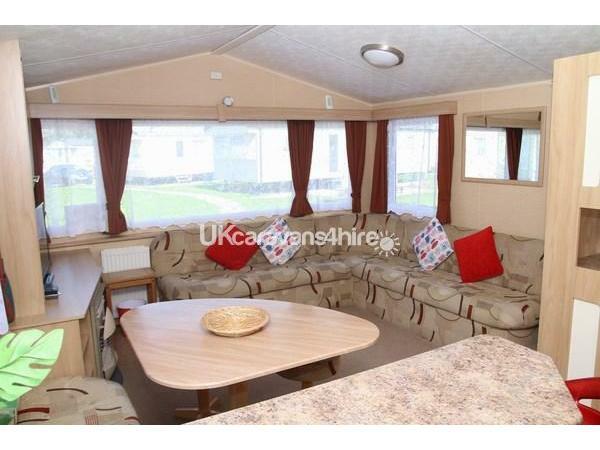 This caravan is fantastic, we had a wonderful and it was the most comfortable place we have ever stayed. It was fantastic. Lovely caravan short walk from the park and easy to find. Comfy and homely. Highly recommended. A very comfortable stay and the caravan facilities were excellent and surprisingly quiet for a busy resort like Butlins. Lovely caravan very clean and a lovely welcome treat highly recommend thanks. One of the best holidays me and my family have been on. Not only is there a wide rage of activities on the complex but the caravan itself was beautiful. 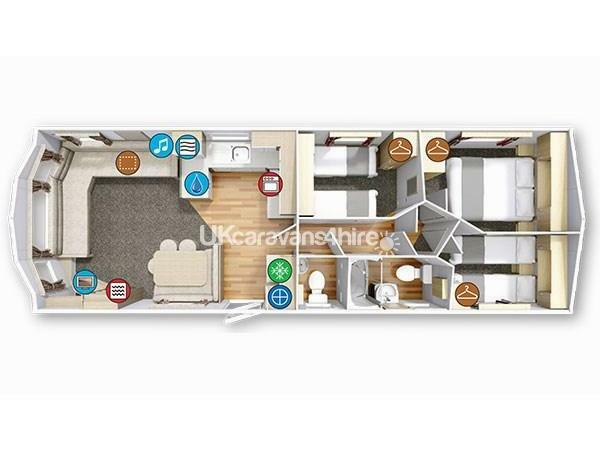 There no getting away from that, the layout of the caravan itself was lovely and spacious, very clean and tidy, every thing was so easy to find and we didn't need for any thing we had it all there. The kids loved it and going back to the caravan to relax after a long day was lovely!! I will definitely be booking again in the near future!! Absolutely loved it. Thank you!! Great caravan in a nice spot on the park. Owners were friendly and helpful and easy to deal with. 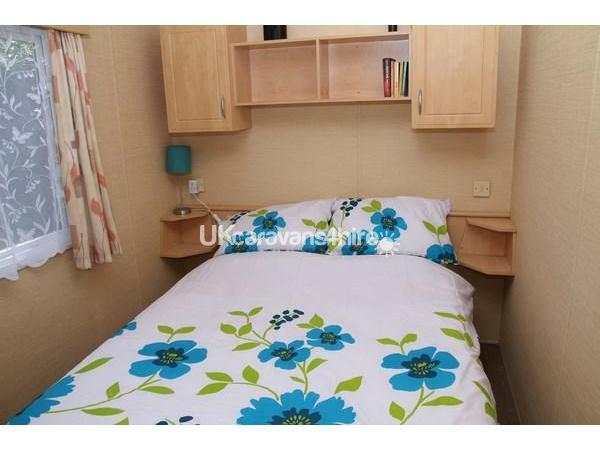 Clean, spacious caravan, enjoyed by all.